A few months ago I received a few silicon muffin tins from a friend, I had been dying to try some new recipes using them but life got in the way and I never really got around to it. Last night I decided to whip up some delicious allergy friendly blueberry muffins. I was inspired by a recipe I found on Pinterest for healthier dairy free muffins but I chose to try quinoa flour so they would be gluten free. If you are vegan you can substitute the one egg for a flax egg or another vegan egg substitute. I used a combination of natural sweeteners because it was all I had left in the house – it makes for an interesting flavour but is definitely not necessary for the recipe. You could use between 2/3 and 3/4 of a cup of either honey, raw agave, or natural maple syrup instead – depending on how sweet you like your muffins. Step 2 – Combine the first3 ingredients into a bowl. If you are using quinoa flour, don’t be alarmed by the smell, it isn’t the most pleasant but I promise you won’t taste it! Step 3 – Melt the coconut oil and set aside, you will add it to the wet ingredients last. Just to clarify, it should be 1/3 of a cup when melted. Step 4 – Using a large bowl, mix together all of the wet ingredients (raw agave, natural maple syrup, stevia, egg, almond milk and apple sauce). Stir together and then add the melted coconut oil. The reason for adding it at the end is that once it touches any ingredient that is wet and cold it will begin to solidify – you want to avoid this. Step 5 – Slowly add the dry ingredients to the bowl of wet ingredients and mix well with a fork until there are no clumps. Step 6 – Fold in blueberries. Step 7 – Grease a metal muffin tin, or use a silicon muffin tin and fill 12 spots to the top. These muffins do not rise much at all. Step 8 – Place in the oven and bake for 20 minutes. They should look something like the picture above. Just a tip, if you are using silicon muffin pans, be sure to put them on a baking sheet before filling them. It will be much easier to get them in an out of the oven. Step 9 – Remove the muffins from the oven after 20 minutes have elapsed. If you used a silicon muffin tin, take them off of the baking sheet to allow them to cool faster and then place the silicon tins of a wire rack. It is important to let them fully cool before removing them. These muffins are very moist and will not come out of the tins easily if they aren’t at room temperature. This is always the hardest part for me. I hate waiting! Step 10 – Share with friends and enjoy! So there you have it! 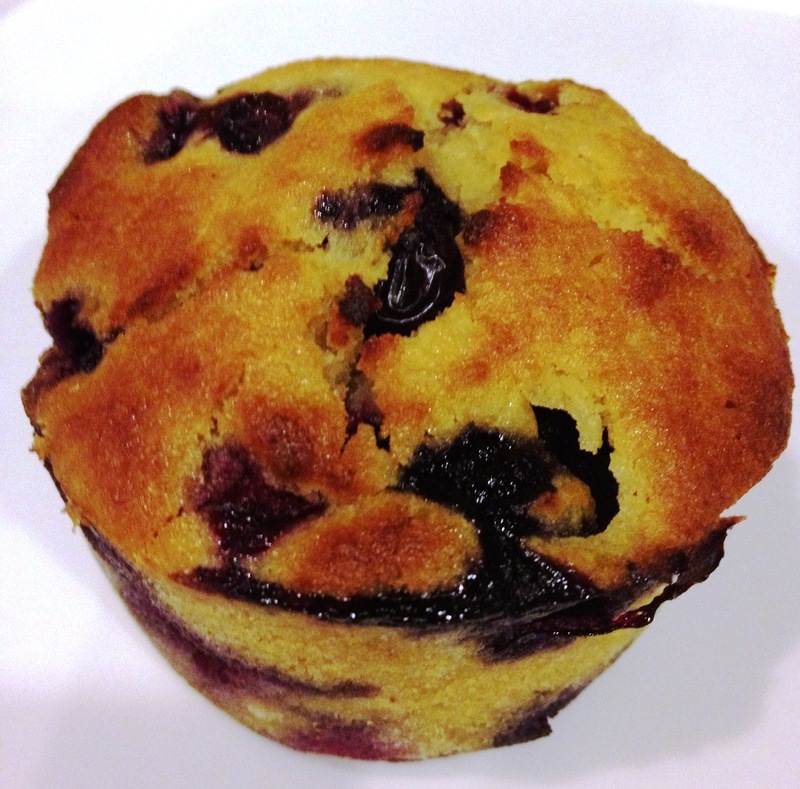 Dairy and gluten free blueberry muffins (with a vegan option). I must say, for such a healthy muffin, they taste absolutely amazing. If you use the ingredients I used in the same quantities the muffins come in at just under 150 calories each with 3 grams of protein and 25 grams of carbs – not so bad! Categories: Personal | Tags: Baking, Coconut oil, Dairy Free, Gluten Free, Gluten-free diet, Healthy, Healthy Baking, Healthy Muffins, Maple syrup, Muffin, Natural Sweetener, Quinoa Flour | Permalink. I'm a five foot three recent commerce graduate and marketing enthusiast. 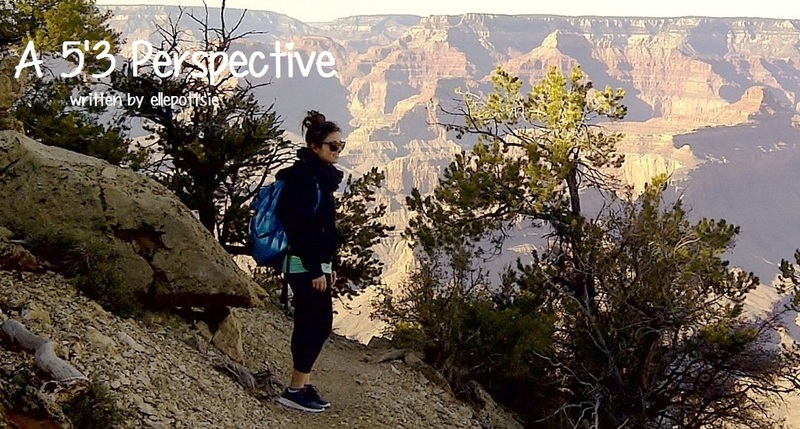 Recently I've noticed that life is a little different when you're closer to the ground, but maybe that is just my perspective! I finally bought my first jar of coconut oil! 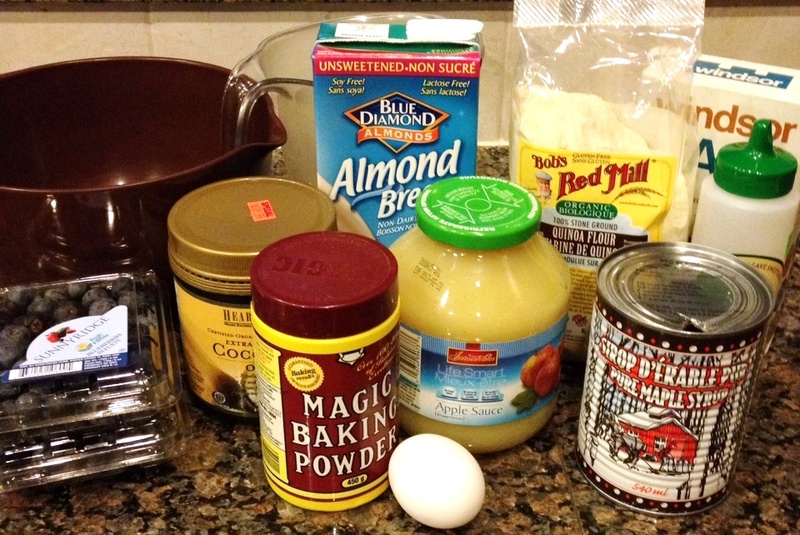 Next almond milk…..and then to make this recipe! Looks good! Good luck 🙂 let me know how they turn out!! !